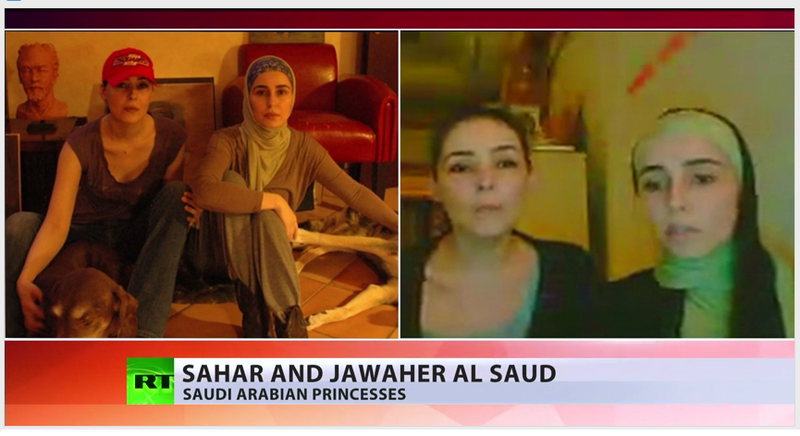 Published on Mar 28, 2014 Tonight exclusively on Channel 4 News the daughters of the king of Saudi Arabia speak out about being locked away for years. � 2006 - 2013 TheReligionofPeace.com. All rights reserved. Why are people blaming merika. It is the king and his puppets who are to blame here. 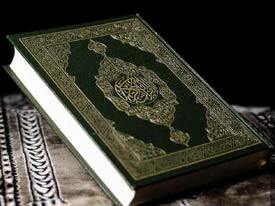 It is these clowns in power taking the koran and twisting it around for their own personal means. Just like happens with all religion and how many centuries have the ignorant and weak willed been lead along by these travesties called leaders. People need to wake up and stand up world wide. These small minorities of elitist prix do not have the right to harvest the worlds resources for their own personal gain. How much longer will we let them do this to us and OUR PLANET. This King has got 2 beautiful, educated daughters. That's puts him in an awkward position. He spent money educating his daughters in Western ways and standards meanwhile espousing a different set of expectations for every other woman in his Kingdom. Inconsistent practices. This dude Abdullah is Musloid ! Why is it an issue now?. this is nothing new, all well educated countries in the world know this. And while they are friends of U.S. then nothing happens, the people there will remain spiritual slaves. Women there will continue to be furniture. 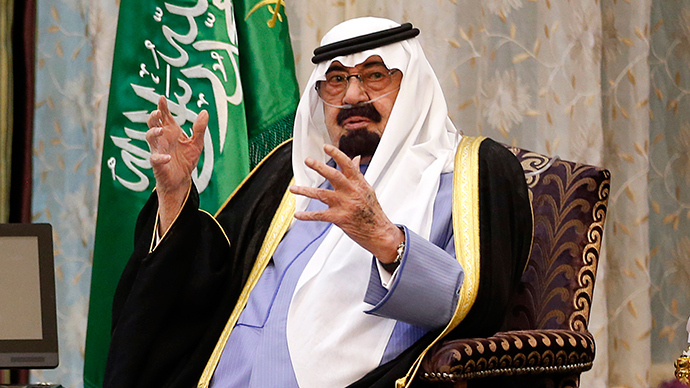 Saudy Arabia is the China of the middle east for the U.S., who cares about human rights, as long as it works for the interest of the bureaucrats in Washington DC. Thanks RT, for showing the true face of the U.S. and its controlled media, cherry picking news is what all the citizens in that country see........seeing reality as it is, is not their forte. But brainwashing is. Obama was the wrong person to ask the help with her daughters. The people of the US of today has no clue what a Human Right feels like, so how on earth can they help give it to other people? In America you have as much rights as the money you have to your name and since 99% of the population are living on 3 paychecks into the future if not in abject debt, no one in the US have rights accept the Super Rich. It is clear case of Human Rights violation I am shocked to know it. What is the use of United Nations if it cannot take active action against such kind of heinous crime. King is guardian of whole nation unfortunately his own daughters are not safe in his regime. It clearly speaks about lot of things which is going on there. World countries should immediately impose strict sanctions against Saudi Arabia. India is against king of saudi arabia. Respect, dignity and freedom is like air that gives life to us. I wrote about those two girls in my book, "Paramedic to the Prince". Although I never saw the girls. It was widely known around the palace that they were kept in seclusion. The former wife of the King is so right when she states this is only the tip of the iceberg. I now work in Iraq and what you never see on the news is that most of the foreign fighters killing and bombing Iraqi's and were killing American troops are from Saudi Arabia. Anbar province and the towns and cities within that province are now controlled by these terrorist. why aren't we putting sanctions on "them"? where are the drones? where's Kerry? Hard to believe this, according to State Department's Human's Right report Saudi Arabia is model of democracy and human rights! Well, we know that "Democracy" ; as it should be, doesn't exist anymore....the Saudis have a large track record of human rights infringement. They should be tried in international courts for them..
where is obama, where is cameron, where is LGBT?! where are human rights? they are hiding and waiting where US sends them.. they care nothing about human rights, democracy.. just tools, nothing but oppressive regime tools for washington corrupt regime.. I lived in Saudi Arabia for three months. Everyone I met (only men) were very nice and loved family. The House of Saud's action against their daughters doesn't reflect the will of the people of Saudi Arabia. But then again, with factions of the princes supporting the US' war of terror in order to effect a sectarian divide in the Muslim religion, I am not surprised that they would think that psychologically abusing their own family members make sense. 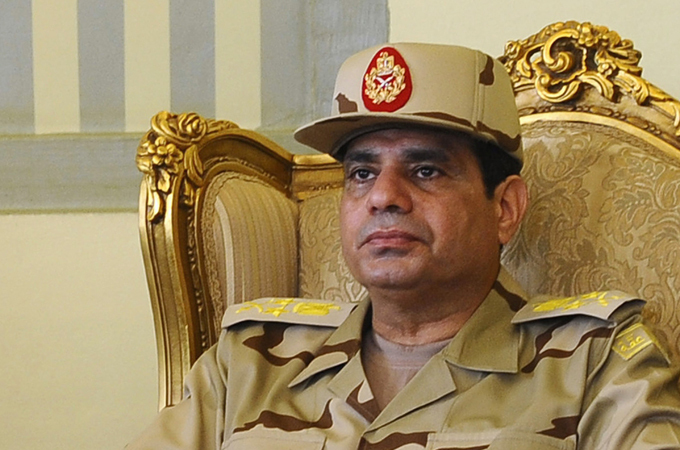 Leading presidential candidate Abdel Fattah el-Sisi says Muslim Brotherhood is "finished" in Egypt if he is elected. Egypt's former-army chief and leading presidential candidate Abdel Fattah el-Sisi has said that the Muslim Brotherhood movement of deposed leader Mohamed Morsi was "finished" in Egypt and would not return if he was elected. Sisi spoke in the first TV interview of his campaign, aired on Monday, vowing that restoring stability and bringing development were his priorities. The comments were a seemingly unequivocal rejection of any political reconciliation with the Brotherhood, which was Egypt's most powerful political force until Sisi removed Morsi last summer. Since ousting Morsi, Sisi has been riding an overwhelming media frenzy lauding him as Egypt's saviour, and his status as the country's strongest figure all but guarantees him a victory in the May 26-27 election. Sisi's only opponent in the race is leftist politician Hamdeen Sabahi, the third-place finisher in the 2012 election won by Morsi. Sisi, who retired from the military in March with the rank of field marshal to launch his candidacy, heads toward office at a time of deepened polarisation. Morsi's supporters have continued protests against the new government, often met by fierce and lethal clashes with security forces. Hundreds have been killed and more than 16,000 members of the Brotherhood and other Islamists have been arrested. Clashes have waned, but the government has branded the Brotherhood a terrorist organisation. At the same time, armed groups have claimed responsibility for a string of bombings and shootings against police and the military in retaliation for Morsi's removal. In the joint interview with two private Egyptian TV stations, Sisi directly accused the Brotherhood of being behind the campaign of bombings and shootings. He said the movement is using Islamic armed groups as a "cover, to fight from behind this or that group". 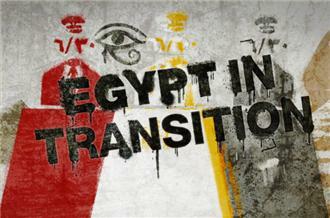 Asked whether the Brotherhood will no longer exist under his presidency, Sisi replied, "Yes. Just like that." "It's not me that finished it, the Egyptians have. The problem is not with me," he said. He said the Brotherhood's ideology was based on "arrogance in religion" - and the presence of that strain of thought had destabilised Egyptian society for decades. "The thought structure of these groups says that we are not true Muslims, and they believed conflict was inevitable because we are non-believers," he said. "It will not work for there to be such thinking again." His election campaign is likely to largely be made up of TV and media interviews and private meetings, with few street appearances, mainly because of security concerns, given the fierce emotions surrounding his candidacy and the threat of assassination. In the interview, Sisi said there have already been two assassination plots against him uncovered, without giving details. 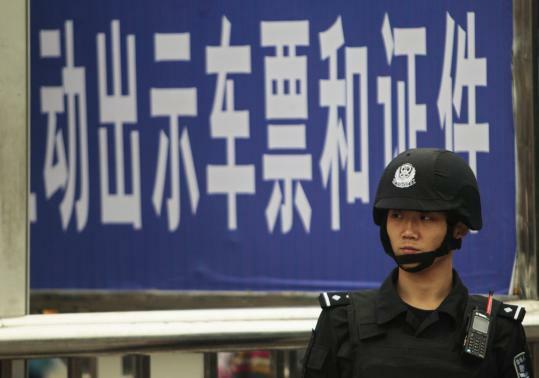 (Reuters) - A single knife-wielding assailant wounded six people on Tuesday in an attack at a railway station in China's southern city of Guangzhou, police and state media said, the latest of a series of assaults to raise jitters around the country. Police gave no reason for the attack, but China has grown increasingly nervous about Islamic militancy since a car burst into flames on the edge of Beijing's Tiananmen Square in October and 29 people were stabbed to death in March in the southwestern city of Kunming. The government blamed militants from the restive far western region of Xinjiang for both those attacks. Resource-rich and strategically located Xinjiang, on the borders of central Asia, has for years been beset by violence blamed by the Chinese government on Islamist militants. 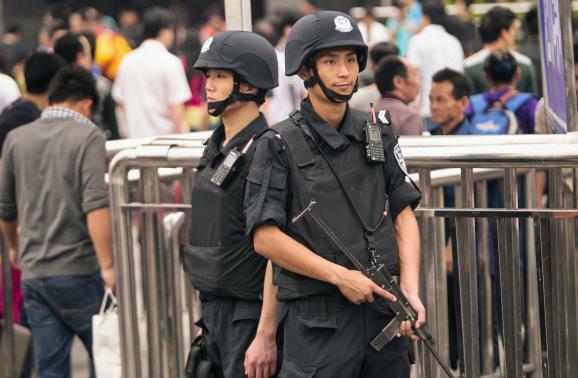 Despite earlier reports on state media that up to four assailants may have been involved, Guangzhou police said on their official microblog that their initial probe found there was just a single suspect. He had been shot and wounded. "After verbal warnings were ineffective, police fired, hitting one male suspect holding a knife, and subdued him," Guangzhou police said. They did not identify the attacker. Provincial television showed pictures of what it said was an apparently injured suspect being pressed to the ground by police and plainclothes security officials, as they removed a bloodied white t-shirt. It was not possible to see the person's face. Speaking while on a visit to Hong Kong, U.S. Assistant Secretary of State for East Asian and Pacific Affairs Daniel Russel expressed "horror, outrage and sympathy" at the attack. "We oppose terrorism in all forms, and in those instances where the available information or the information shared by the Chinese authorities pointed to terrorism by a group or individual, we have condemned it as terrorism," he said. China last week reacted angrily to U.S. criticism of the level of cooperation from Beijing on fighting terrorism. China blamed religious extremists for a bomb and knife attack last Wednesday at a train station in Urumqi, the regional capital of Xinjiang, that killed one bystander and wounded 79. Exiles and rights groups say the real cause of the unrest in Xinjiang is China's heavy-handed policies, including curbs on Islam and the culture and language of the Muslim Uighur people. Kosovo's Prime Minister Hashim Thaci speaks to Reuters during an interview in Pristina March 27, 2014. PRISTINA (Reuters) - Leaders of Kosovo's main parties agreed on Tuesday to dissolve parliament this week and hold an early election on June 8 after Serb minority lawmakers nixed a vote on creating a national army by failing to show up. Kosovo's Western backers, who recognized it as independent in 2008, had been reluctant to see the immediate creation of an army for fear of the message it might send to the more than 100,000 ethnic Serbs who live in the country and to Serbia itself. Parliament was supposed to hold the vote on Monday, but Kosovo's constitution states that two thirds of lawmakers had to vote, as well as two thirds of minority deputies. 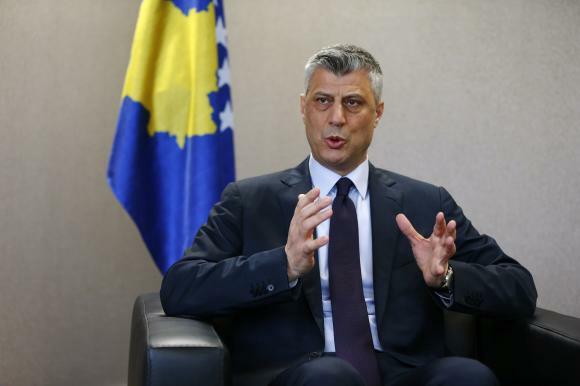 Prime Minister Hashim Thaci said that the leaders of the biggest political parties had agreed in principle to hold the June 8 vote instead of an election planned for November, and that parliament would be dissolved on Wednesday. Isa Mustafa, the leader of the main opposition party, the Democratic League of Kosovo (LDK), said after meeting the president: "Parliament is not functioning any more... The best way out is to hold elections in the first part of June, after dissolving the parliament." Thaci had said publicly before the meeting with President Atifete Jahjaga that a parliament that "cannot vote on the army of its country makes a nonsense of any further proceedings". His proposal was for the landlocked country of 1.8 million, which borders Serbia, Albania, Montenegro and Macedonia, to have an army of 5,000 active soldiers and 3,000 reservists. Kosovo already has the nucleus of a future army in the lightly armed, 2,500-strong Kosovo Security Force, tasked with crisis response, civil protection and ordnance disposal. Any new army would have to work alongside a NATO peace force of 5,000 soldiers still deployed in Kosovo. NATO's attempts to further cut back its presence have been thwarted by continuing ethnic tensions and violence in the north. Serbia has agreed to cede its de facto control in that area in return for guaranteed rights for ethnic Serbs living there and the start of EU membership talks for Belgrade. Kosovo has been unable to join the United Nations due to opposition from Russia - a Serbian ally and U.N. veto-holder. Although Serbia does not recognize Kosovo as sovereign, relations between the two have improved over the past year, after the two sides reached a landmark EU-brokered accord. 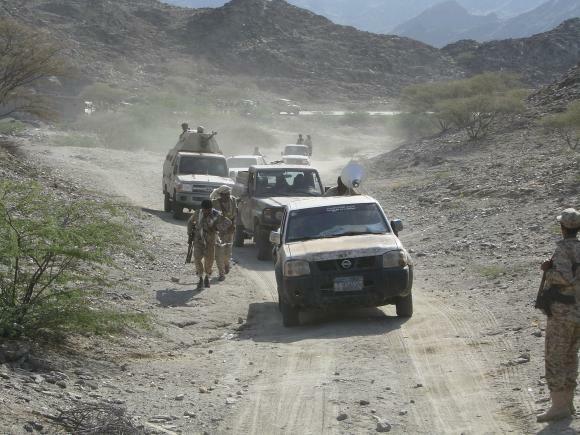 Military vehicles drive on a mountainous road on the frontline of fighting against al Qaeda militants in the southern Yemeni province of Shabwa May 5, 2014, in this photo provided by Yemen's defence ministry. ADEN, Yemen (Reuters) - Yemeni government forces waging an offensive against al Qaeda pushed into a militant stronghold in the south after insurgents blew up a government building there with some then withdrawing, the Defense Ministry said on Tuesday. Since 2012, al Qaeda in the Arabian Peninsula's main Yemen base has been in the mountainous al-Mahfad area of Abyan province where militants had fled after the army, with U.S. help, drove them from towns they seized during a chaotic national uprising in 2011. Major powers are keen on Yemen curbing Islamist insurgents and restoring order in the south to prevent threats to No. 1 oil exporter Saudi Arabia next door and the risk of Yemen being used as a springboard for attacks on Western targets. The Defense Ministry's website quoted an official military source as saying soldiers and allied tribal militias known as popular committees had crossed into al-Mahfad. "The source said al Qaeda elements blew up the government building in al-Mahfad," the defense ministry cited the source as saying, and some militants had fled the area afterwards. The Yemeni army is waging a concerted offensive against insurgents in some of the most impenetrable regions of the Arabian Peninsula state. The offensive follows a series of air strikes, including by U.S. drones, against insurgent bastions that killed some 65 fighters. Last week a Yemeni official and tribal source confirmed the killing of the head of the AQAP cell in al-Mahfad.